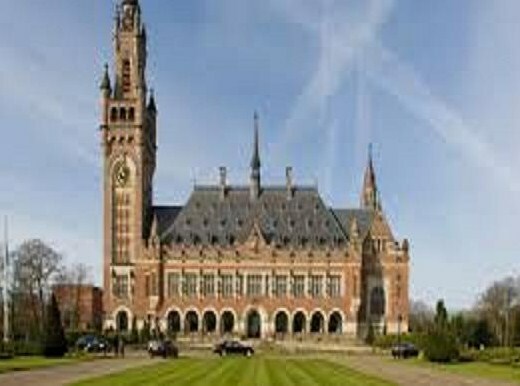 Permanent Court of Arbitration, The Hague. The Red Dragon has stopped spewing fire, and it seems it’s now behaving in a forthright manner after the Permanent Court of Arbitration handed down its final decision on July 12 which favored the legal complaint filed by the Philippines against China on what it perceived as an illegal intrusion on Philippine sovereignty. As expected, this didn't come as a great surprise to many Filipinos. Even before the decision was handed down, I could already sense of glitter of hope would come as expected, after the Philippines had filed a complaint before the arbitral tribunal on the manner by which China asserts its rights over the disputed territories in the South China Sea, considering that it was clear from the start that China has violated an important provision set forth by the United Nations on the Law of the Seas (UNCLOS), in which China is a signatory. As I was saying before, China may have withdrawn its support of the UNCLOS and may have not affixed its signature at all, knowing that some provisions in the convention would surely affect its historic rights to most parts of the South China Sea. Experts on international maritime laws said that invoking historic rights to most territories in the South China Sea, as indicated by the nine-dash line, would be difficult to do. They have argued that ancient maps, for example, which could serve as the primary evidence that would identify established boundaries being claimed by China, couldn't be used as proofs to its rightful claims to most parts of the disputed territories in the SCS. For one, ancient maps cannot serve as a reliable evidence in courts because of their crudeness and some imperfections on how they were made which might create some overlapping of the sovereign boundaries, experts said. What is clear right now is that, the ruling in The Hague has created a fair atmosphere that a small nation can go against a powerful country like China. At least, it was a moral and legal victory for the Philippines, explains Prof. Richard Heydarian of the De Lasalle University in Manila in a live broadcast interview. Heydarian said that the ruling is something that the Philippines can now use to make some concessions in so far as joint undertakings in the disputed territories are concerned. But Atty. 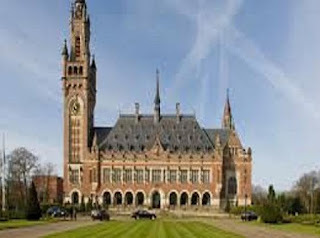 Harry Roque, an international lawyer and now a party-list congressman, explained that if China will not abide by the ruling as mandated by the arbitral tribunal in The Hague, the enforcement issue could be tackled by the Security Council. Otherwise, the U.N. General Assembly will decide as to whether or not U.N.-member nations will be asked to enforce the law. While it's still premature to predict as to what will happen next, political observers were surprised to find that there's an atmosphere of calm now prevails in the disputed territories.In fact, a local government official in the municipality of Pag-Asa confirmed over a live broadcast that Filipino fishermen can now go about their usual fishing activities without being harassed by the Chinese Coast Guards. However, it wasn't immediately known if the disputed areas will be temporarily open to all fishermen who wish to catch marine resources there. In the past, the Chinese Coast Guards wouldn't allow Filipino fishermen to catch fish in the disputed territories. Most were driven away by bombarding them with water cannons, which sent them scampering in different directions to flee. After the ruling was handed down on July 12, China may have gotten the message across so that it is now on the wait-and-see attitude. And there is a strong possibility that bilateral negotiations between the two countries may take place in the soonest possible time.